There are many businesses in the digital age which can be bootstrapped by hungry entrepreneurs with a little of their own capital to invest and a whole lot to prove to the world… unfortunately, construction is not one of them. 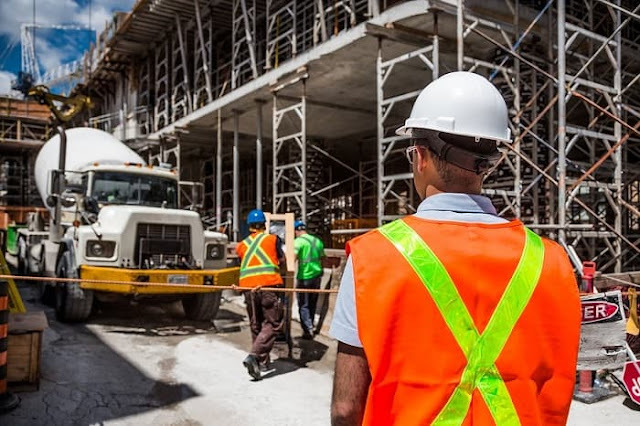 Even small outfits require huge initial overheads in building materials, labor costs, equipment and software purchase or rental costs as well as requiring the various permits in order to carry out work make it a prohibitively expensive business to set up. But if you’re an inventive, determined and talented construction professional with an impressive body of work, an entrepreneurial urge and big dreams, the difficulties in raising capital should not put you off pursuing this potentially lucrative avenue. Just because you may have to put in a little more effort to gain funding than your average startup, this doesn’t mean that it’s impossible. It’s simply a matter of making the right choices and securing the rights funding for your needs. While your first port of call may be a bank, don’t be surprised if the startup costs put them off, lending to you. This speaks more to the post-crisis economy than it does to your stellar record in the construction industry. Many businesses find better luck with unsecured loans from alternative lenders in securing business capital should they be turned away by the banks. The good news is that in some countries banks that refuse small businesses for startup capital are legally obliged to recommend alternative funding sources. The UK, for example has the Small Business Enterprise and Employment Act of 2015 which helps would be entrepreneurs to fund their operations even if they represent a challenge to risk averse banks. You probably already have a good idea of what equipment you will need and where you will be able to source it from. If you haven’t, however, visit A&A Machinery for machinery moving contractor resources. Choosing the right financing solutions for your business will help you to operate as needed without crippling yourself with massive overheads.Asset finance is great for businesses that need equipment straight away but don’t necessarily have the cash to pony up on an up front basis. You can either lease your equipment or buy it on a hire purchase agreement. Both have their pros and cons. Leasing is beneficial for new businesses that need access to the newest equipment and aren’t particularly concerned about whether they own it. Hire purchase, on the other hand, offers the flexibility of leasing while allowing you to own the equipment at the end of the agreement. You pay a monthly sum (including interest) after which the equipment is then yours. This is the best option for equipment that will see a lot of use over the course of a number of years without needing to be upgraded or replaced. Even when your business is up and running you may still have need of finance. If you experience a temporary lapse in cash flow because your resources are tied into a project or you need short term finance to purchase land or additional resources, a bridging loan could be perfect for you. While most unsecured loans can take a while to process, bridging loans can be approved and transferred into your account quickly, enabling you to stay agile and take advantage of fast moving opportunities. Be wary, however, bridging loans tend to be high in interest, making them viable only as a short term solution. I hope you enjoyed this article about how to break building barriers and successfully fund your construction company.